Free verse poetry might feel like a foreign land for some and a familiar friend to others. Maybe you love the flowing sound and fun line breaks of free verse, or perhaps you prefer the rhythm and melody of Longfellow or Tennyson’s rhyming poems. No matter your experiences are with free verse, join us today to explore the vivid and breathtaking world of free verse poetry! Let’s begin with a definition. At its simplest, free verse poetry is poetry without a set form, so it doesn’t have a repeated rhythm or rhyme scheme. Free verse poetry often sounds like the way people speak. That doesn’t mean it’s free from any patterns, though. 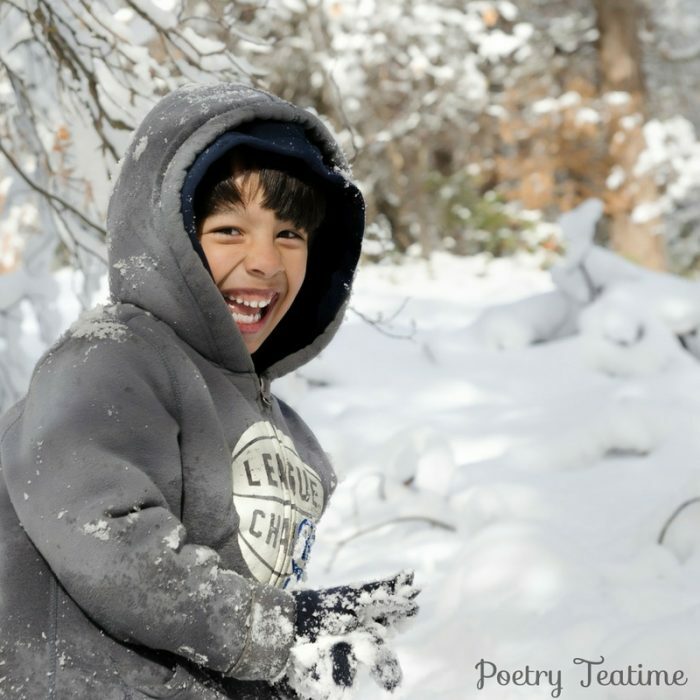 Free verse poems are very carefully structured to communicate meaning through sounds, line breaks, punctuation, images, and more. Because poets using free verse aren’t following certain rules when they write, they have the freedom to choose whatever words, sounds, and shapes they want in their poetry. You might think that free verse sounds a lot like prose (sentences written out in paragraph form). There are two main differences to free verse poetry. First, it’s split into lines, which is the easiest way to recognize a free verse poem. Second, it uses “poetic language,” meaning the poet might use images, metaphors, repeated sounds, and made-up words in the poem, not necessarily to make the meaning clearer but to make the poem sound and mean what the poet wants it to. Read aloud: Read the poem out loud and pause at punctuation, not at line breaks. Reading it in a normal voice (not your fancy poetry reading voice) will help you focus on the meaning of the poem. Describe what happens: After reading the poem a couple of times, try tell what happens in the poem using the simplest words you can. Who is talking in the poem? What are they seeing or doing? What is the poem describing? Maybe person talking is the poet and the poem is about looking outside a window at snow falling. Boiling the poem down to the simplest “what-happened” makes it much easier to understand and enjoy. Surprise! Poetic language: Next, think about the poetic language the poet uses. In general, focus on the things in the poem that were surprising or unexpected, or the things that showed you a new way of looking at the world. Here are some questions to help you think about the poetic language. Does the poet use any strange or unfamiliar words? Look up anything you don’t know! Are there any places where the punctuation is surprising? What’s the point of poetic language? : When you’ve thought through some of these poetic elements, talk about what effect they have. What do each of these things (images, metaphors, word choice, punctuation) add to the poem as a whole? Do they help you understand what’s happening in the poem in a different way? Do they affect how the poem makes you feel (happy, sad, excited, or something else)? Do they make you notice things about the world you haven’t noticed before? Talk about form: Now it’s time to appreciate the form. Each poem you read will look different, but here are a few suggestions. Where does the poet repeat sounds or words? Do the sounds of the poem or of certain lines make the poem sound funny, thoughtful, excited, or something else? Do any of the words or lines sound like what they mean? Where does the poet use line breaks? Are there any line breaks that change the meaning of a sentence or word? Is the poem split up into different stanzas (paragraphs of poetry)? Do the stanzas look similar or different? Sound similar or different? Are they connected to one idea or do they talk about different things? How does the poet use the blank space around the words of the poem? Does the way the poem looks remind you of anything? Is there a rhythm or a beat to any parts of the poem? So what: Think about the “so what” of the poem. Why do you think the poet wrote it? How does it make you feel? If you were to tell someone else one reason why they should read the poem, what would you say? And that’s it! Remember that each poem is different, so only use the steps that help you understand the poem better. Don’t get overwhelmed, even if you don’t understand the poem right away. And if you really like a poem, be sure to share it with someone so they can enjoy it too! Now go conquer some free verse poetry! Lots of poetry is in free verse, so these are just a few of the many options out there that explore all sorts of different ideas using free verse poetry. Some of these poems are factual, some tell a long story, and others explore different cultures. Dig in and enjoy!